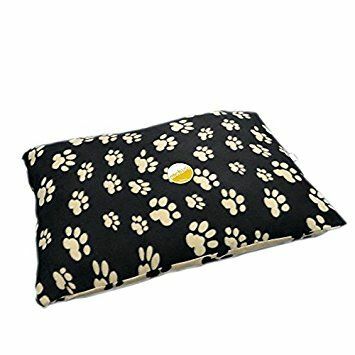 A super snuggly fleece dog pillow, Archies Mattress is black and beige, with contrasting colour paw prints. This is a perfectly comfy sleeping quarters for your canine buddy, whilst also practical to keep clean. Made from 220gsm soft fleece, it is machine washable at 30 degrees and colour-fast tested.